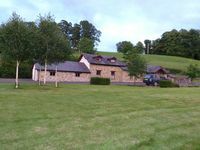 Property 7: Overlooking the Loch Melvin and the Leitrim Hills in quiet rural location. Property 12: The Garden House Self Catering Cottage, Northern Ireland Tourism 3 Stars. Property 30: A lovingly restored courtyard, originally built to house working animals in 1860. Luxury ground floor three bedroom apartment in Enniskillen town. Property 31: Luxury ground floor three bedroom apartment in Enniskillen town. Property 32: Kingfisher Lodge gives guests direct access to Lough Erne and private jetty. Property 36: Cosy cottage to relax, unwind and unplug. Property 37: BRIGHT COSY APARTMENT - WITH SEA AND SURF VIEWS - RIGHT IN THE CENTRE OF TOWN. Property 42: Luxurious Holiday House for any occasion . Come and see for yourself.